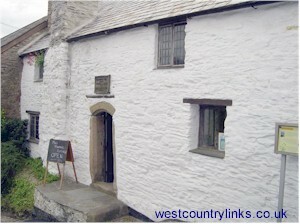 Cottages and Self-Catering Accommodation to Rent.West Country. westcountrylinks. Self-catering cottages, South west cottages, UK cottages, Somerset cottages, Dorset cottages, Devon cottages, Cornwall cottages. Cottages and Self-Catering Accommodation to Rent. Self-Catering cottages for a family seaside holiday or a romantic break. What ever your looking for from history to medieval castles, sweeping moorlands in Devon or spectacular coastlines. Somerset is a good centre from which to visit the lonely heather-clad slopes of Exmoor. You could explore the rugged charm of the Cornwall jagged cliffs and raging seas or just relax on one of its fine beaches. Dorset is one of the most pleasant of English counties. Many rare plants grow in Dorset, while geologists will find much to interest them in the fossils and the varied and contorted rock strata found. CORNWALLThis is one of the favourite holiday counties in England because of the great variety and beauty of its scenery, which ranges from the rugged to the pastoral. Cornwall is a long peninsula of stern granite moors, jagged cliffs and raging seas contrast with quiet coves, tiny villages and gentle valleys, and there are also many fascinating relics of the past such as dolmens, stone circles, forts, and the more recent disused tin and copper. mines and china clay works. DEVON Across the border from Cornwall, offers a great range of scenery and has two coasts, although unlike those of its neighbour these are entirely separated by the uplands of Dartmoor and Exmoor. Whether its a quite or active holiday for young or old there is always plenty to see and do. The tiny villages quiet coves and gentle valleys with rich green rolling hills sandy beaches and calm seas of Devon contrast with rugged Cornwall. Here you will find a variety of holiday choices from relaxing in plush hotels, getting away from it all in a country retreat by renting a cottage or camping in the lush countryside of Devon. DORSET Seventy miles of fine coast line gently rolling hills and secluded valleys combine to make Dorset one of the most pleasant of English countries almost unchanged since its beauties were so well described by the great novelist Thomas Hardy, who was a native of the county. an arch has been cut in the rock by the action of the sea. SOMERSET Somerset is often called the ‘Gateway to the West and its many charms are conjured up by its Old English name which means ‘the land of the summer- farm dwellers’. One of the most notable features of the county is as large number of lovely churches. The greatest of these is Wells Cathedral. which possesses England’s most complete group of ecclesiastical buildings. The Early English west front is decorated with fine sculptures. Dunster , overlooked by its ancient castle. is an attractive Somerset village. A yarn-market. built in 1 589 when Dunster was an important cloth centre, still stands in the High Street. Porlock is equally pleasant and boasts some lovely thatched cottages. while about a mile to its west is Porlock Weir with its little harbour, and Porlock Hill, one of the steepest in England. This is a good centre from which to explore the lonely heather-clad slopes of Exmoor or. further afield, the towering cliffs of the Cheddar Gorge.